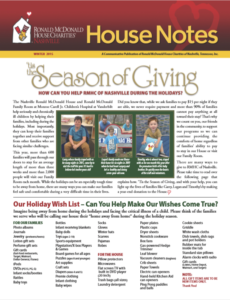 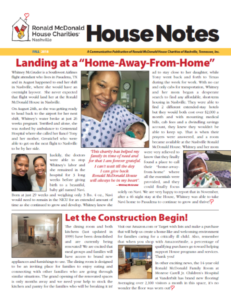 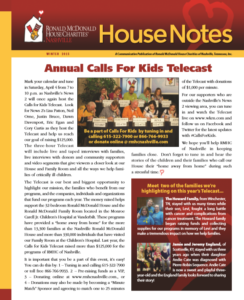 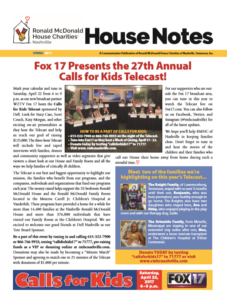 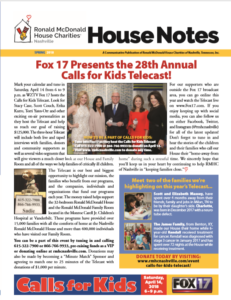 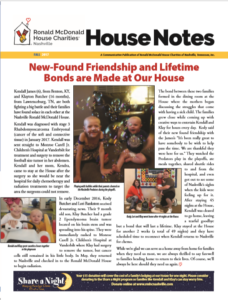 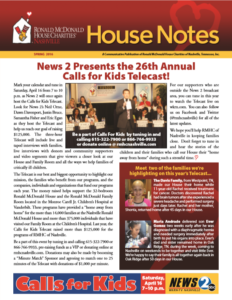 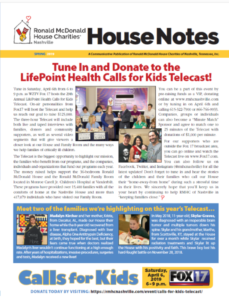 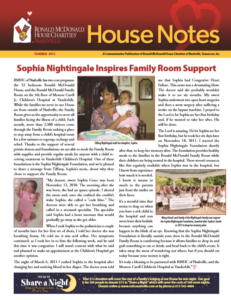 Click here to sign up for our quarterly House Notes newsletter. 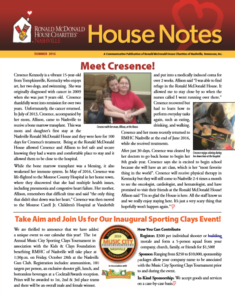 *Update to “Meet Cresence!” article in the Summer 2016 issue: Cresence Kennedy is currently receiving care at the Children’s Hospital at TriStar Centennial. 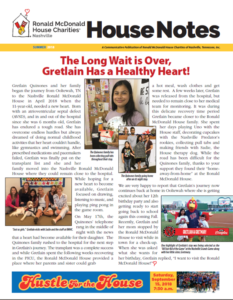 A Communicative Publication of Ronald McDonald House Charities of Nashville, Tennessee, Inc.